There are several feats that have been achieved in football history. There are some that stand out, there are some that would a lifetime to repeat and then there are some that would be near impossible to repeat, going by the natural order in the game. Some records satisfy all three. Asmir Begovic’s goal is one of the records that stand out. The then Stoke City goalkeeper scored a goal from 91.9 metres out. His effort against Southampton at the Britannia Stadium is a major feat. The stadium is positioned over a hill, making it windy. All these helped Begovic net a very unusual goal from that distance. Following a back pass from one of his defenders, the keeper wanted to clear the ball. He hit with so much power that it reached the other end. The ball bounced and the wind helped it swerve past Saints’ keeper Arthur Boruc. It stands as the longest recorded goal in the history of the game. 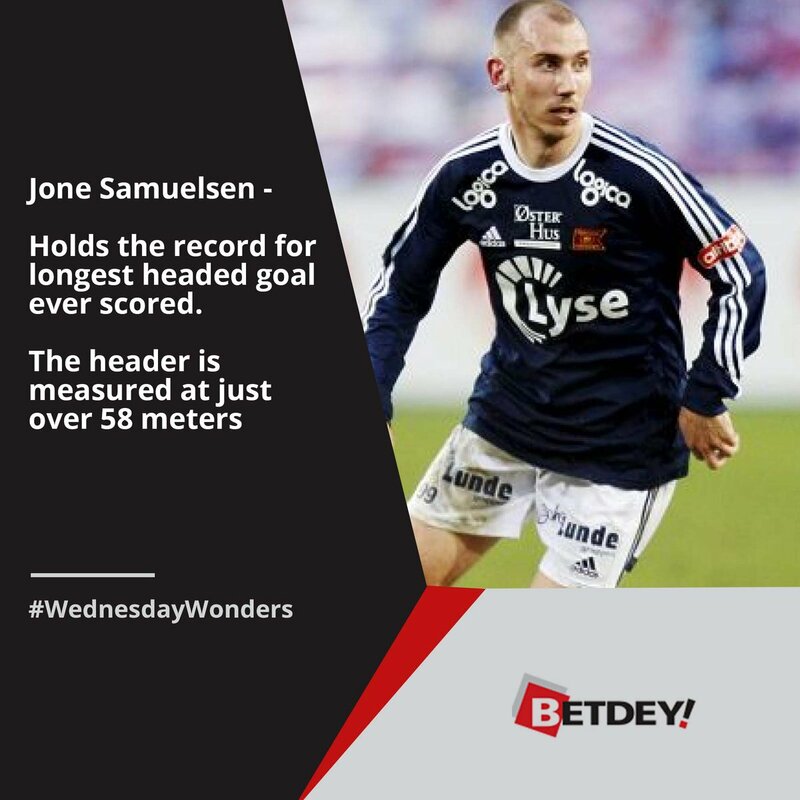 Jone Samuelsen scored an absurd goal when his header from over 58 metres out turned a goal in the Norwegian League. His opposing team was trying to score from acorner kick set piece so the keeper joined the attack. Samuelsen’s team cleared the ball but it was headed back by the opposition and then Samuelsen headed the ball intending to catch his man but he missedand the ball rolled into the empty net. Then there is ‘Lord’ Nicklas Bendtner who came off the bench to score the fastest goal by a substitute. It was a heated North London derby game and Arsenal wanted to win it. It was 1-1 after Robbie Keane failed to score from the spot, frustrating Spurs fans. Arsene Wenger pulled out Emmanuel Eboue for Bendtner just as Cesc Fabregas wanted to take the free kick in the 07/08 season. As Bendtner ran into the pitch, the Spaniard sent his ball which the Dane headed in. It was his first touch and it took only 1.8 seconds to score.